Designed by the designer Oriano Favaretto table lamp Poli Pò L puts an end to Biederer table lighting. 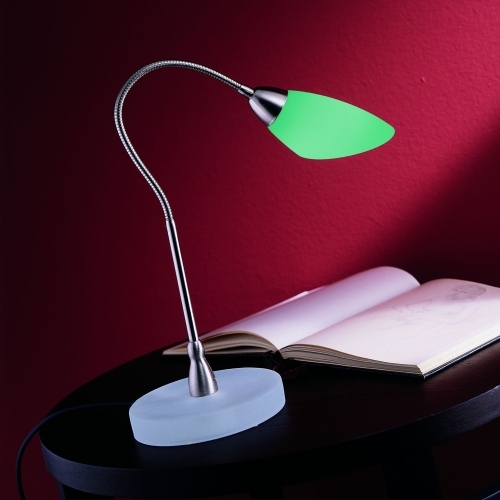 On a walk in Murano glass standing, orderbare in 15 colors table lamp for elegance and a warm charm. With Poli Pò L of deMajo desk work is a pleasure, after the screen has your favorite color and can draw very well there, thanks to the flexible frame, where the cone of light is needed. Please specify in your order in the comment box your desired shade colors.